Although only an incremental upgrade over the original Vario-Sonnar T* 16-35mm F2.8 ZA SSM lens, this second edition optic proves to be very impressive. Build quality and general operation are first class, as is the speed and accuracy of the internal autofocus motor. The addition of weather seals further enhances the lens’ ease of use and versatility. But it’s optical quality where the lens really shines, with superb sharpness across the frame at all focal lengths from f/4 to f/16, and only very slight softness wide open and at f/22. Distortion and fringing are impressively low, although the same can’t be said for light fall-off, with the lens producing obvious vignetting at 16mm and 20mm. If you’re in the market for an A-mount rectilinear ultrawide zoom lens and don’t want to consider third-party optics, then your options really come down to this lens or its predecessor. 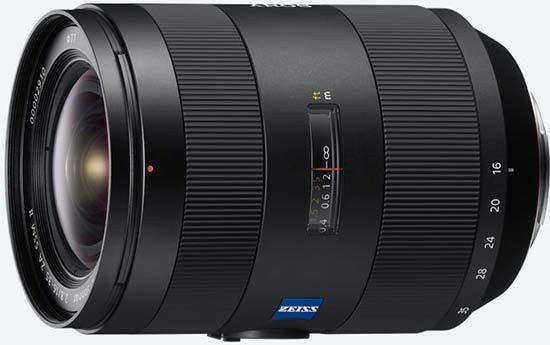 Given the original 16-35mm f/2.8 ZA SSM was already a stellar performer, paying the extra 20% for this second edition is a little steep for only marginally increased image quality. However, if superior tracking focussing and weather sealing are high on your wish list, along with quality handling and mostly superb image quality, then the Sony Vario-Sonnar T* 16-35mm F2.8 ZA SSM II is well worth the money.